Shouldn't the reference implementation of Python compile with almost anything? Lightning Python is an alternate build of Python for Microsoft Windows and Linux using the Open Watcom compiler. This port is "in progress" and not directly associated with core Python development itself. 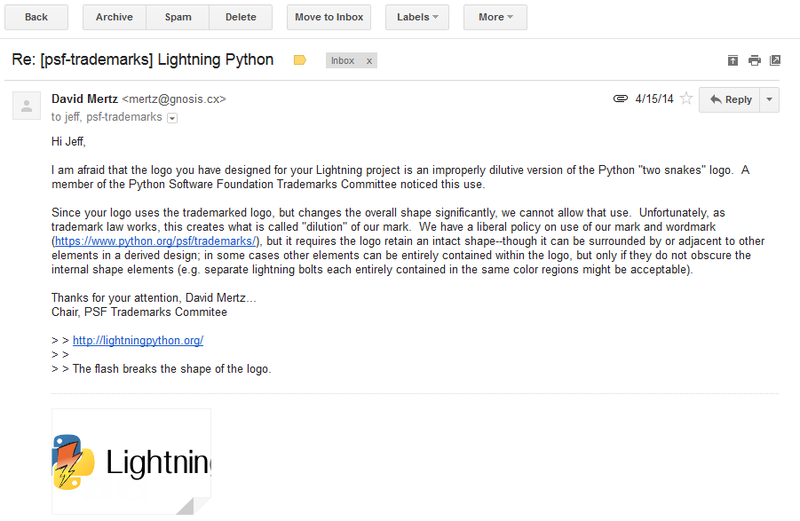 Lightning Python remains incomplete; a number of standard library C extensions are not yet included. That said, Lightning Python is generally usable although possibly prone to crashes while the port continues. It is meant to provide another Python interpreter built with an open source compiler. The Open Watcom toolchain was chosen due to its treatment of the Windows platform as its primary target. Because the compiler isn't simply a port of an existing UNIX-y compiler to the decidedly non-UNIX-y Windows platform, much of the complexity and incompatibilities of build tools can be avoided. Furthermore, Open Watcom's Windows API headers and C runtime are slightly closer to Microsoft Visual C++ than, say, MinGW. The name "Lightning" is simply a reference to the Open Watcom logo. It does not imply this implementation is any faster than stock Python. In fact, it is consdierably slower at the moment. If you're interested in helping, please visit the BitBucket page! This site provides a specialty distribution of Python. If you're looking for regular, old Python, you'll need to go somewhere else.